Is The Dwarf Chilean Flame (Homoeomma chilensis, formerly Euathlus sp. red) Too Hot To Handle? Welcome to part two of my series that I am working on where each time I focus on one tarantula in my collection. 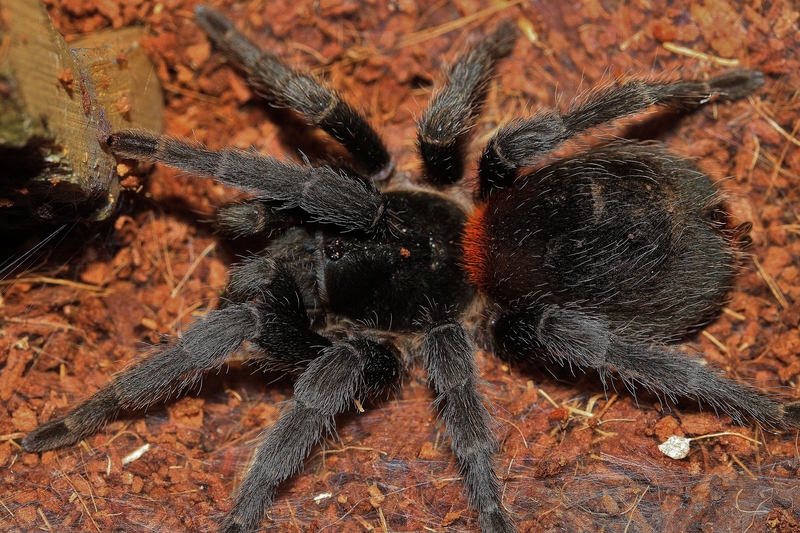 The photos used are of my actual tarantulas and the information I include is based on my own experiences. Please keep in mind that my experiences may differ from yours so just because I say it here does not mean that it is set in stone. I am just sharing what works for me. If you haven’t seen part one of this series, dealing with Lasiodorides striatus, then click HERE!